You are here: Home / Investing / Is it a good idea to manage your own investment property? Is it a good idea to manage your own investment property? 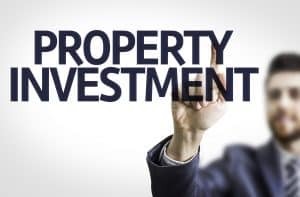 There are advantages and disadvantages to managing your own investment property, let’s look at why you may want to do it yourself and why you might hire a professional. Buying an investment is a major commitment. A key decision for many investors is whether to manage it themselves or to hire a property manager. Better oversight. A property manager will never have the same level of personal attachment to your property as you do. As manager, you’re in a position to keep a close eye on your property, and to quickly attend to any issues. If you’re handy, you can do even do some of the maintenance yourself, to save costs. Selecting the best tenants. When charged with finding tenants, a property manager may not always be as selective as you would like them to be. By taking this task on, you can hopefully be more confident that you’ve chosen tenants that fit your needs. Reducing costs. Managing your own property can save money because there’s a fee associated with an external manager. It varies, but an average charge would be in the vicinity of 7% of the monthly rental rate. On a rental of $500 per week, this would soak up $35 per week or about $152 per month. Management costs can be written off as a tax deduction, but this doesn’t mean you get the full amount back. Legal knowledge. Managing your investment property may seem straightforward, but you need to be fully aware of the laws governing landlords and tenants in your state. This includes all rights and responsibilities, relevant notice periods and dispute resolution processes. Doing things the wrong way can have legal consequences. Direct contact with tenants. When you appoint a property manager you create a buffer between you and the tenants. You shouldn’t have to communicate directly with your tenants. When you take on the management role, your tenants will have a direct line of communication to you. You’ll have to handle issues such as unpaid rent, repairs or damage. It takes time. Managing your own property may sound easy, but there’s a lot involved. It will take up some of your personal time. Consider whether time or money is more valuable to you; the costs of a property manager may be fully tax deductible, as could other expenses associated with marketing, leasing and general maintenance. The decision of whether you should manage your investment property is likely based on your time, expertise and finances. What’s most important is that you get the right support. A mortgage broker can help – contact yours today to find out more.